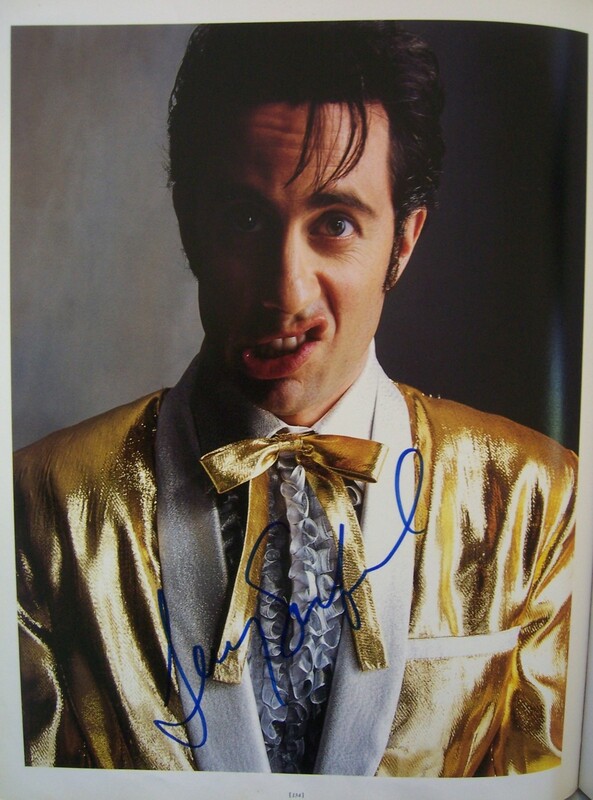 11x14 inch full page spectacular photo shot for Rolling Stone removed from photographer Mark Seliger's coffee table book Physiognomy, autographed in blue marker with a rare legible signature by comedian Jerry Seinfeld (posing as Elvis Presley). Suitable for framing. Obtained from the estate of an in-person collector who evidently had excellent access to Hollywood celebrities and entertainers. With certificate of authenticity from AutographsForSale.com. ONLY ONE LEFT.